The route through North East Victoria is perfect for those new to bicycle touring, as you follow the picturesque Murray to Mountains Rail Trail and wind down quiet country roads. You certainly will not rough it on a Mulga Bicycle Tour. Delicious local produce, comfy beds, and a focus on safety (not on beating the clock), ensures a smooth ride for all their guests. And with a fully-stocked support vehicle following every day, there is the comfort of knowing all your food, luggage, first-aid equipment and other necessities are right behind you whenever you need them. The support vehicle is also there any time you want a break from pedaling, so you can cycle as much or as little as you please. Experience Victoria’s High Country in a whole new way. For details visit the Mulga Bicycle Tours website.  North East Victoria is known for its natural beauty, fantastic produce and rich history, and what better way to immerse yourself in this region than with this easy-does-it cycling tour. With a bit of luxury, small groups, expert support and a firm commitment to safety, you will see Northeast Victoria in a whole new way with Mulga Bicycle Tours. The route is perfect for those new to bicycle touring, following the Murray to Mountains Rail Trail and winding down quiet country roads. Whilst each of the seasons provides its own mix of visual delights, it is in spring and autumn the area especially shines. Add in the region’s food and wine attractions and laid-back atmosphere, and you will find these tours are the perfect balance of gourmet indulgence and spectacular scenery. Indulge in the local food culture. Visit boutique breweries and cellar doors. Enjoy a walking tour of Beechworth, and join a cooking class with winemaker and chef Katrina Pizzini. Enjoy eight days and eight nights with overnight stays in Beechworth, Bright, Milawa and Whitfield, and an average daily distance of 54 kilometres. If you have ever dreamed about cycling through Victoria, here is the perfect way to get started.